I love the idea of Montessori at home, but how can I do it with more than one child? This is one of the questions I am asked most often. How on earth do you prepare one environment for nine people? My name is Heidi, I am an author, curriculum designer, and blogger. I also happen to have 7 kids. My husband is a certified Montessori guide and we are committed to implementing Montessori in our home and homeschool. Parenting is almost always better with two. 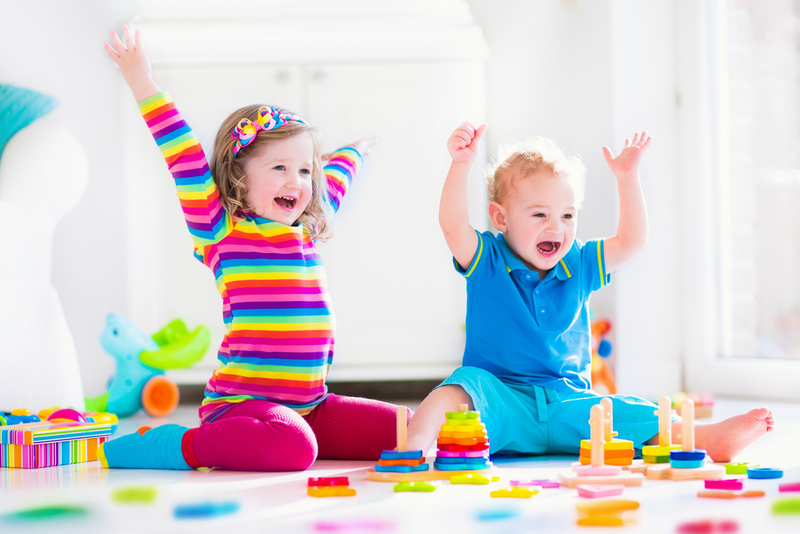 Make sure your partner is on the same page with implementing Montessori. Not only will this mean consistency for your kids, it will mean an extra set of ideas to brainstorm creative solutions. In absence of or addition to a supportive co-parent, find your online tribe of like-minded moms. No matter how many children you have, find a Montessori mom with one or two more kids than you have and follow them on Instagram to see how they solve problems. You are not going to be able to have a perfectly prepared environment for each of the ages you are supporting. When making purchases, look for materials that are used across multiple ages and stages. For many years, we used our infant shape puzzles in place of the metal insets for early childhood. Search for Montessori inspired minimalists- it is really a thing. They have done the work of picking the materials that will give you the most developmental bang for maximum impact. This is natural for the toddler ages, but practical life materials are already in your home so make sure they are getting used in every single area. Child-size equipment is ideal, but even adult equipment is usable if need be. Children who are deeply immersed in contributing to their environment are more peaceful and occupied. They will not do perfect work and there will be messes, but as your growing brood grows- the help will increase along with the amount of work. Leadership and teaching are life skills. My elementary aged children are all capable of presenting a three period lesson to a younger sibling. They don’t give every lesson, but by teaching them how they are able to lend a hand when I am busy with a new baby or in the depths of toddler toilet learning. They also do meal planning and implementation and are welcome to contribute ideas to the successful running of our household. By respecting their ideas, they contribute not out of forced responsibility, but out of a willingness and desire to participate. Depending on the child, they might be more interested in contributing to the baby care, preparing our environment, or helping with the teaching. It doesn’t much matter to me, as either way it helps mom! Montessori curriculum may not come from a box, but we can be prone to the same temptation to only implement exactly as written. We can get lost in the specifics of beautiful materials and forget the importance of observation and the response we make to what we learn. Take time to really watch your children no matter how many, how old… they will show you what you need to know to teach them well. It doesn’t much matter if your child is normalized to a textbook Montessori classroom, only how well they are adapted to their own home environment. Having one toddler is busy. Adding another toddler, a baby, or even an older child affects the dynamics of the entire family. Montessori with a two, three, four, or even more children is not only possible it is rewarding. With careful observation and effort, as the number of children multiplies so can the benefits. Feel free to reach out to me with any specific questions! I’m happy to help This Toddler Life readers brainstorm specific solutions based on their circumstances. I believe that, with support, this is a viable option for many families. You can find me on my blog www.workandplaydaybyday.com and on Instagram (workandplaydaybyday) and Facebook (Heidi Indahl, Author Public Page: Work and Play, Day by Day). Ready to take the next step into Montessori living? Join us in The Montessori Learning Center to learn everything you need to know about Montessori with your family! Click the image below to learn more.